"An endearing romance . 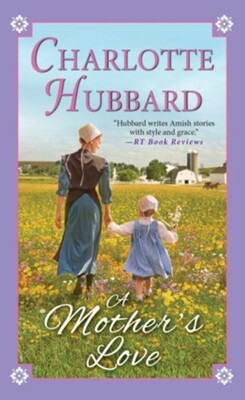 . . By making a space for determined women inside the Amish community and providing a satisfying conclusion to various familial hurts, Hubbard provides readers with a comforting tale of love and forgiveness." For widow Rose Raber, its been a year of tragic loss and difficult decisions. She thought providing for her young daughter was the greatest challenge she faced. Until her dying mother revealed that Rose was adoptedand her birth mother is someone with much to lose if the secret comes out. As Rose struggles to reconcile the truth with her faithand her troubling curiosityoutgoing newcomer Matthias Wagler is another surprise she didn't expect. His optimism and easy understanding inspires her. And his prospective partnership with wealthy deacon Saul Hartzler promises a possible new life for themtogether. But with this second chance comes yet another revelation for all involved. When Sauls wife unexpectedly turns up at Roses new job, their bond as mother and daughter is instant and unmistakable. And it isn't long before an unforgiving Saul discovers the truth, threatening Matthiass livelihood and Roses future. Now with more than just their happiness at stake, Rose and Matthias must find the strength and courage to stand strongand trust God's enduring miracles of motherhood, forgiveness, and love. I'm the author/artist and I want to review A Mother's Love - eBook.